In this short informative video http://bit.ly/2xSwYrA, Diane explains how there are many more faces to chai than the Americanized Latte! In some countries, chai or cha is the word for tea. There are white, green, black and herbal chais, liquid concentrates, and powdered latte mixes. There are traditional Masala spice blends and some with very creative spice blends. This spicy tea can be served simply as hot tea with no sweetener in its’ simplest form, but there are even amazing recipes for cakes and cupcakes made with chai. In India, there are street vendors called chai wallahs who sell sweet, milky blends from sidewalk stalls, and even a home delivery service. India is best known for chai and there are now modern chains focused on chai and competing with large coffee house chains. It has become so popular in the U.S. that almost every coffee house serves their own version. Be careful of the calories though if you are watching your weight and drinking them regularly at coffee houses or tea houses that add inordinant amounts of sweetener. We have another video here that shows you how to make a chai latte at home. Be sure and check it out! 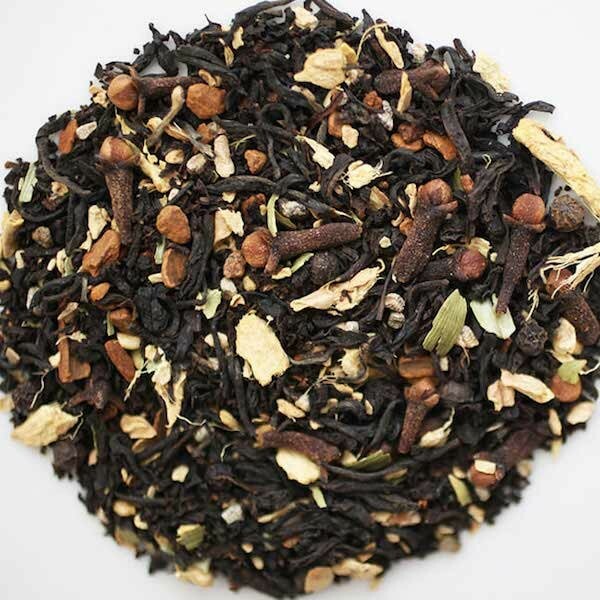 You can use our loose leaf tea to make it and sweeten it to your own taste, as well as adding the dairy or non-dairy of your choice. A great idea is to make it with coconut milk!